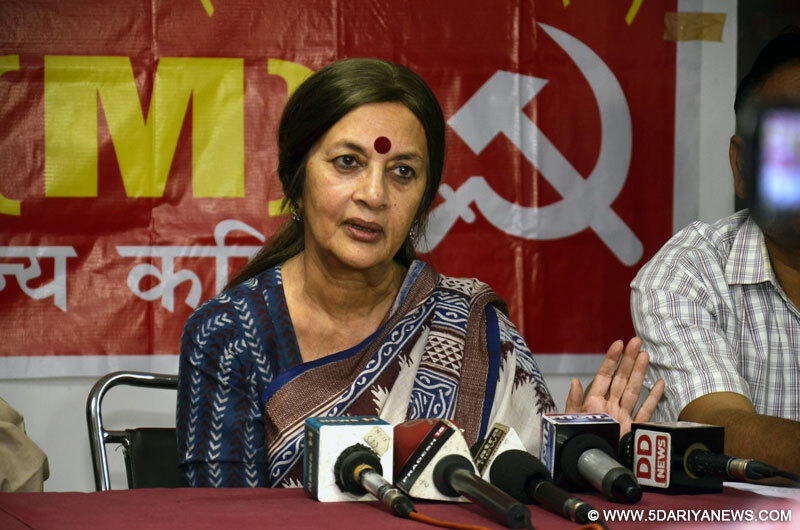 Communist Party of India leader Brinda Karat Thursday demanded complete withdrawal of military and armed forces from Kashmir and said that injuring people through bullets and using pellets to blind protesters will have serious consequences for India.“We condemn the oppression and repression of both central and state government on people and believe that Kashmir is a political issue which needs to be addressed politically. The way both Central and State Governments have let loose a reign of terror in Valley is not only condemnable but barbaric as well. There is lot of anger among people who want issue to be resolved without any delay. Kashmir needs to be demilitarized and New Delhi must stop brute force on people,” Brinda Karat told Kashmir based news agency CNS over phone from New Delhi.